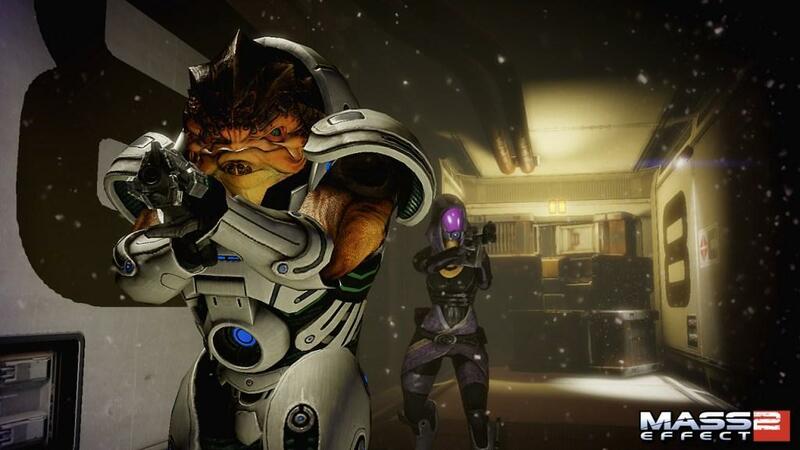 When the original Mass Effect was released for the Xbox 360 back in 2007, the industry was practically knocked off of its feet. The game raised the bar for character driven RPGs, storytelling in video games, and was one of the few games that truly made us feel like we were (finally) in the “next generation” of gaming. With that one game alone, BioWare proved that it wasn’t just a one-trick pony in terms of their success with the Knights of the Old Republic series. They showed the world that when it came to telling a video game story, they set the standard(s). Just a few short years later, BioWare surpised everyone and did it all over again with an incredible sequel on the PC and Xbox 360 in the form of Mass Effect 2. The second game earned just as many accolades and as much critical acclaim as the first game and some would argue raised the bar yet again. Meanwhile, jealous gamers in the Sony camp sat on the other side of the aisle wondering if they would ever get to taste the adventure(s) of Commander Shepard and all of the Mass Effect universe’s glory. Low and behold, one year after the initial release of Mass Effect 2, that same game is launching on the Sony PlayStation 3 and aiming to bring the experience to a whole new gaming audience. While it may have taken them an extra calendar year, the time wasn't wasted. What is arguably one of the best experiences in the history of video games is now here for us all to enjoy. The new game includes all of the content that was slowly rolled out to 360 (and PC) gamers over the course of 2007 and 2008 and uses a sleek new in-game engine, making this the best version of the game to date. Since Mass Effect 2 is such a story- and character-driven experience, I won’t give away to many story details out of fear of ruining anything for anyone who may not have played the game. Players assume the role of Commander Shepard, a decorated soldier and an individual widely heralded as the hero of humanity. 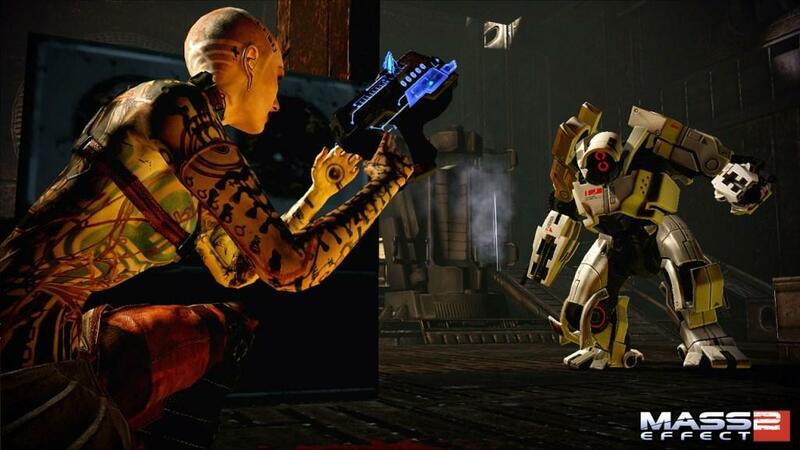 Shepard isn’t your ordinary game hero / heroine but instead the work of your own creation. 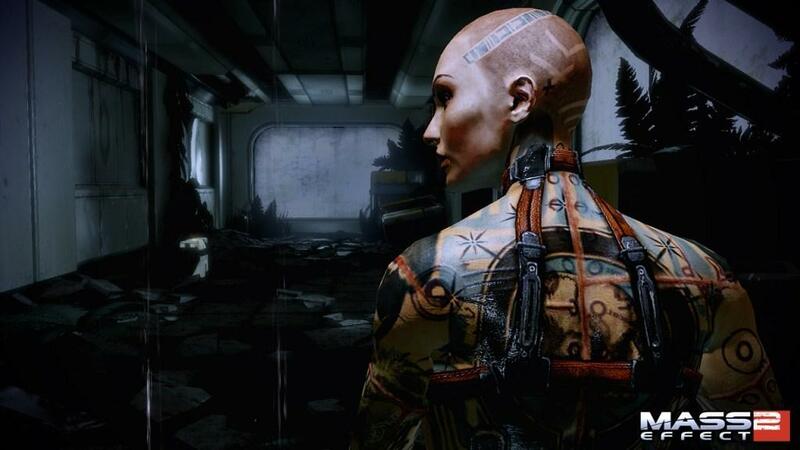 As the player, you will create everything about Shepard, from the biographical background to the physical appearance. 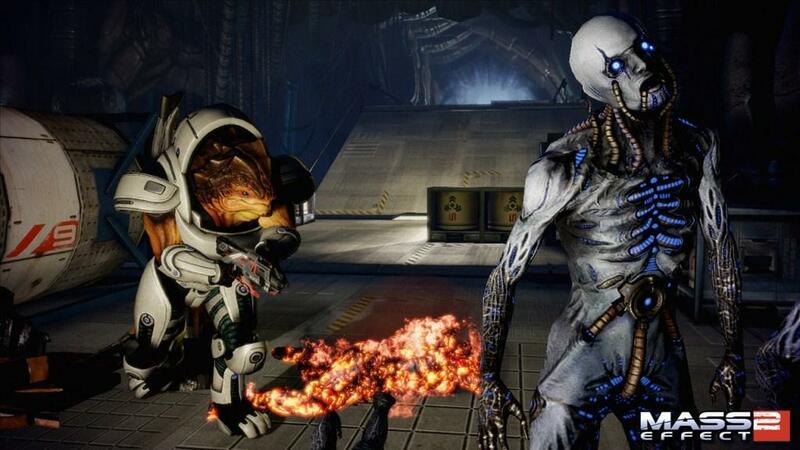 Xbox 360 and PC players were able to create their character in the first game and carry them over to the second; this created an experience that catered more to their personal interests. They have already had an entire game to mold and shape their Shepard into the person they wanted him / her to be. PS3 owners don’t have that luxury due to licensing and distribution issues with the original title. Microsoft owns the distribution rights to the first Mass Effect game and it will likely never see release on a PlayStation console. 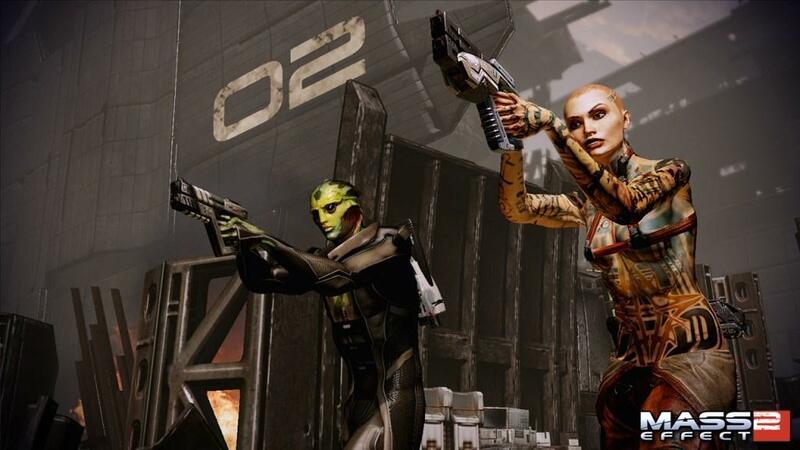 Due to these issues, you are forced to start fresh with Mass Effect 2 for the PS3. You shape the personality and the reputation of your character, which in turn creates a personalized experience for you during the game. After you have “designed” your character, you find yourself aboard your trusty ship the Normandy and subject to an ambush in deep space. Your ship is completely destroyed, your crew scattered, and you will be left for dead. When you awaken, it’s two years later and you discover that you have been brought back from the dead thanks to the dedication and resources of an organization that you have despised over the course of your military career: Cerberus. Now you find yourself in a position where the only people who seem to trust you are the one’s that you trust the least. 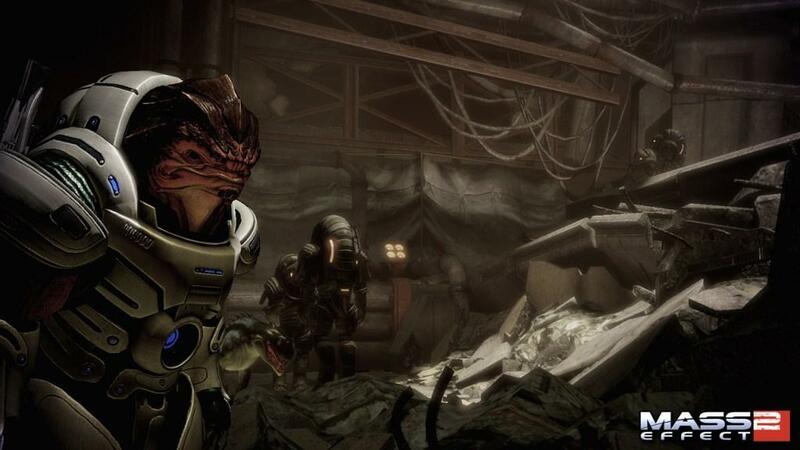 This is the burden and journey that is Mass Effect 2 and what drives the main story from start to finish. BioWare does make some efforts to help you customize your Shepard in this game by offering an interactive comic which fills you in on the events of the first game. This feature, created by Dark Horse comics, must be downloaded separately from the PlayStation Network and is integrated into the story of the game. The comic occurs as a dream-like sequence during the haze that occurs between your “death” and your awakening aboard the Cerberus' ship. Though the use of this comic is purely optional, it is strongly recommended to both returning Mass Effect players and newcomers to the series. It only lasts about 15 minutes and serves as a good refresher for the previous adventure. The comic also allows you to make some of the key decisions from the original game, further shaping the personality of your created Shepard. Think of it as sort of a “choose your own adventure” book; it doesn’t fully replicate the hundreds of decisions and choices that you would have made in the first game. The experience gives you a little bit of an idea of what the game has in store for you and prepares you for the hard decisions that you will undoubtedly have to make during this adventure. Dark Horse did a phenomenal job in summarizing the original game in a manner that more than prepares you for ME2. 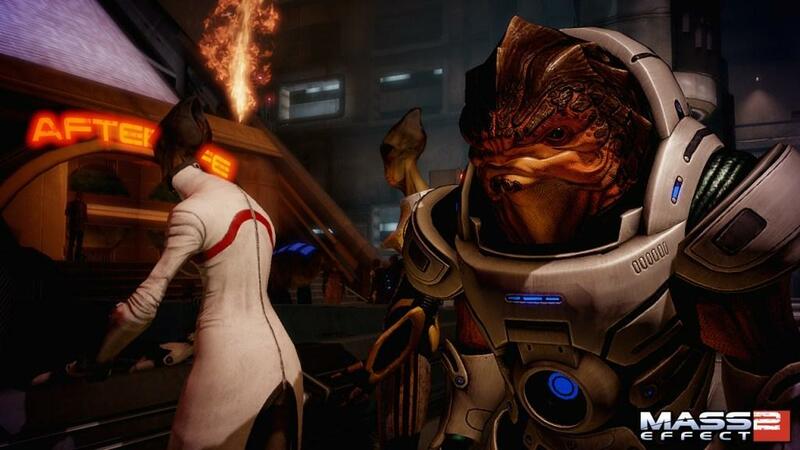 You may not be as familiar with the universe as you would be by playing the original game but you will find yourself learning the basic ins and outs of the Mass Effect universe in terms of the general conflict at hand and the parties involved. If you do want to learn more, the game constantly fills in your character’s personal codex as you progress, which you can access at any time from the pause menu. The codex gives you more information than you could ever want to know about every aspect of the Mass Effect universe. You should also keep in mind that the decisions that you make in this game will carry over to the third entry in the series as long as you hold onto your save data. Remember that as you move through the various missions of the game as you will ultimately decide “who’ Commander Shepard is and the resulting character could be with you for many gaming hours in the future. Mass Effect 2 is presented as an incredibly gorgeous cinematic experience from beginning to end from both from a visual and audio perspective. Sometimes it is hard to tell if you are playing a video game or watching a movie. The game looks slightly better on the PlayStation 3 than it did on both the Xbox 360 and PC. The main reason behind this is that the team at BioWare did a little bit more than just port the code over to the new system. Mass Effect 2 for the PS3 was rebuilt using the game engine that was designed for the upcoming Mass Effect 3. Long story short, it looks good... damn good. The driving score that accompanies the events of the game is just as impressive, especially when you get into the action. The most impressive audio in the game though has to be the dialogue. BioWare has spared no expense in assembling an incredible cast to voice the 25,000+ lines of speech in the game. The development team went for triple-A, Hollywood talent to ensure the quality was top notch; players will recognize some major talent behind the voices of the game including Martin Sheen, Seth Green, Michael Dorn, and Carrie-Anne Moss. It all leads to an incredible experience that engulfs you and keeps you hooked from start to finish. Amazingly, the gameplay of ME2 is just as engulfing as the story itself. Players will experience a wide variety of gameplay elements throughout the adventure in order to keep things from ever getting stale. Most of the action will play out as a 3rd person shooter or adventure game, with heavy emphasis on seeking cover and manipulating the environment to your advantage during battle. When the guns aren’t blazing, you will find your self playing puzzle / hacking mini games, utilizing a resource management style side-game of exploring uncharted planets and collecting elements which serve as currency, and even general exploration and research gathering on driving missions using an off-road style hovercraft called the Hammerhead. There is always “something to do” but most of the time you will be running full speed ahead in a story that doesn’t slow down from beginning to end. One of the great things about the game is that you can progress the story at your own leisure; while the main storyline does drive forward at a breakneck speed, you actually decide how and when it progresses. I often find myself taking breaks from the action and spending time in exploration mode gathering resources or perhaps just visiting the various locale spread across the galaxy and partaking in the various side missions offered by the game. There is a definitive, streamlined course that you can take that will keep your completion time at a minimum but that causes the game to lose half of its charm. As I mentioned above, this is a character driven story and to get the most out of it, you should get to know the characters around you. You are given a chance to dig into their background at every turn of the game. Most of the side missions that you will encounter directly involve the supporting cast of the game and give you insight on their personal stories. Usually when a game gives you opportunities like this, the offerings are hit and miss. That isn’t the case with this game as there wasn’t a single side-mission or optional storyline that doesn’t engulf you as much as the main story. Every aspect of the game is deep, which speaks volumes for the writers at BioWare. The biggest aspect of the game lies in the dialogue and morality choices that you will be faced with along your way. Every decision that you make, both in your physical actions and your words, will effect those around you. Good decisions will be rewarded with Paragon points that increase your reputation in a positive manner while harsh decisions will increase your Renegade points and hurt that same reputation. Throughout your adventure you will likely earn points in both categories; as you build up points on each side over time, different dialogue options and actions will become available. This is the same system that was used in the original game and will undoubtedly appear in the third. These are decisions that shape your character and will influence the next game (assuming your Shepard lives to see the next adventure).If you happened to play the original game, you will notice that many aspects of the game’s interface have been streamlined in the sequel. Gone are the overwhelming and clunky inventory screens and leveling options. 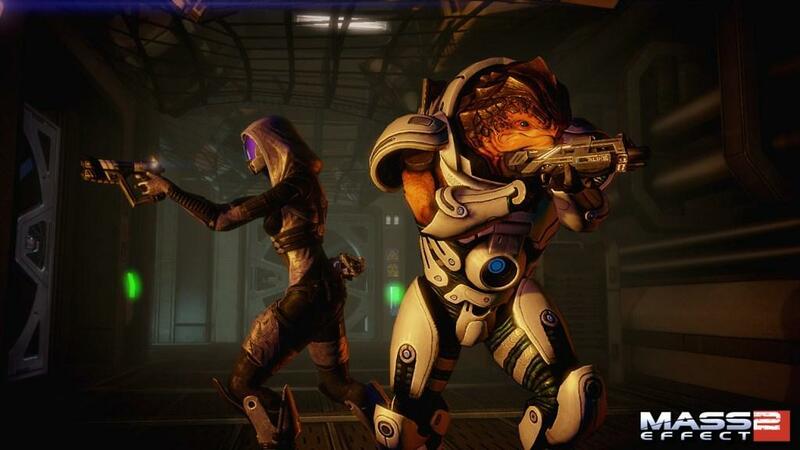 Mass Effect 2 streamlines all of these menus and more. Inventory management is practically nonexistent and the leveling options are spelled out for you in simple to understand categories. You even have the option of foregoing these screens and setting your characters to auto level as you progress and earn experience from missions. As great of a game as ME2 is, there are a couple of technical hiccups that you will undoubtedly experience on your adventure. Visually, there are a couple of areas of the game where you will experience slight slowdown as well as a ton of texture clipping This is perhaps most notable in the areas of the game where you are piloting the Hammerhead explorer. The vehicle has a habit of falling through objects such as rock-walls and occasional floors; in some cases it can get pretty bad and cause you to fall to your death. Luckily, these stages are few and far between. I also experienced some issues with the dialogue wheel on occasion. Every once in a while, the game seemed to hesitate when I made a selection and there would be an awkward period of silence. This lasted as long as 8-10 seconds in some cases and the characters on the screen just sat there and looked at each other. This isn’t anywhere near as annoying as the clipping and hit detection issues with the Hammerhead, but it happens enough that you will notice. Mass Effect 2 was an incredible game on the Xbox 360 and is just as incredible a year later on the PlayStation 3. BioWare has done a fine job porting over an already impressive game and did a great job (along with DarkHorse comics) to help bridge the gap created by the first game’s absence on the console. If you own a PS3, even if you have played the game in its previous form, you owe yourself to play through it again on the PS3. It’s that good.